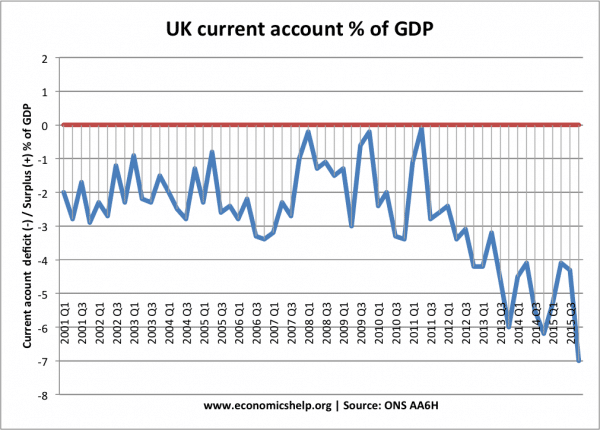 Readers Question: What are the main problems of the current UK economic situation? Inflation which is contributing to fall in disposable income. State of the housing market – expensive prices and rents are contributing to intergenerational inequality. One of the main problem facing the UK economy at the present time is weak economic growth, with output below its previous trend rate of growth. 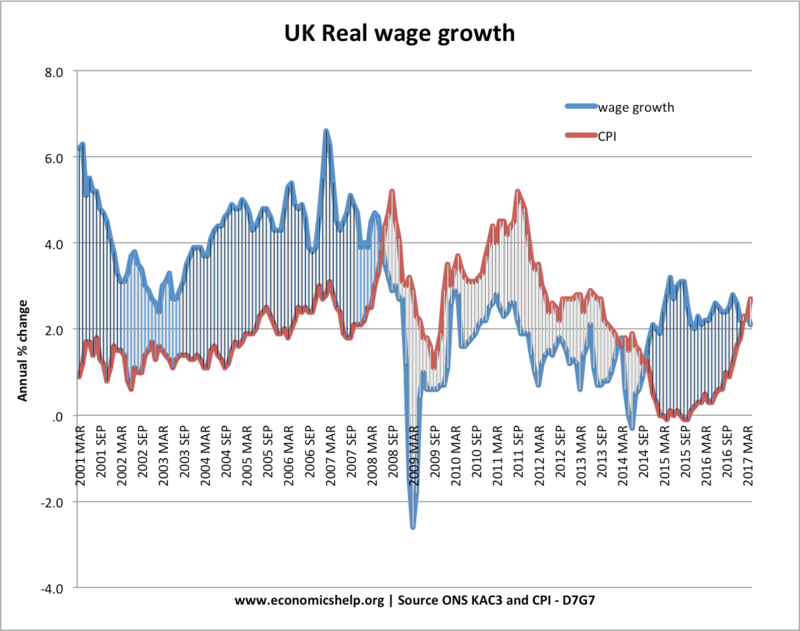 Fall in real wages. Relatively weak economic growth has contributed to a fall in real wages and lower living standards. 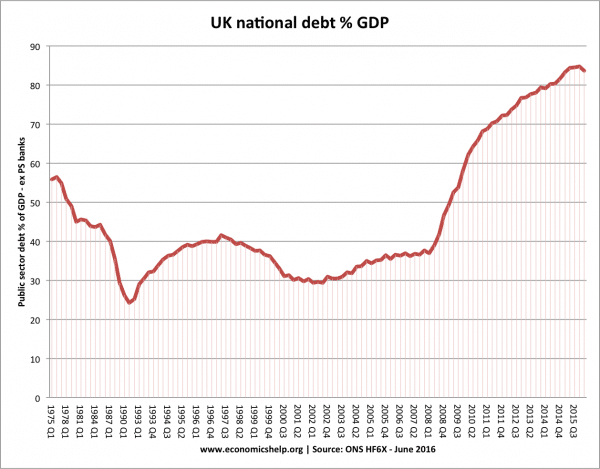 Increased ratio of government debt / GDP. With weak economic growth in GDP, it becomes much more difficult for the government to reduce the burden of government debt to GDP. 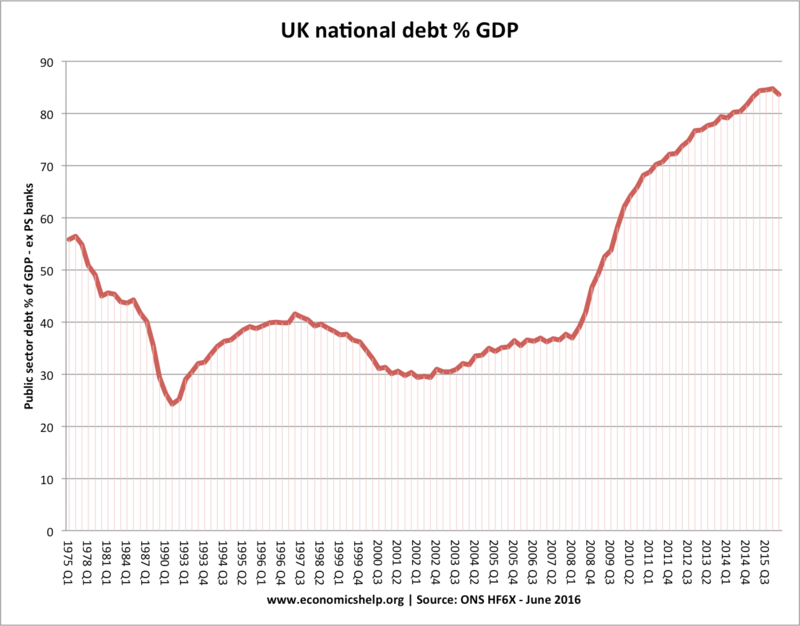 Despite austerity measures, the debt to GDP ratio is forecast to keep rising. 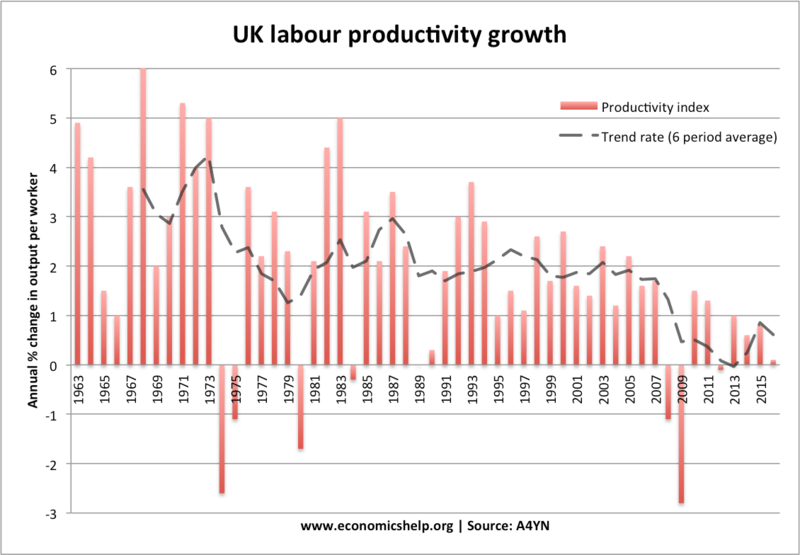 In the post-war period, we have become accustomed to rising productivity – and this is a key factor behind rising real GDP and rising living standards. 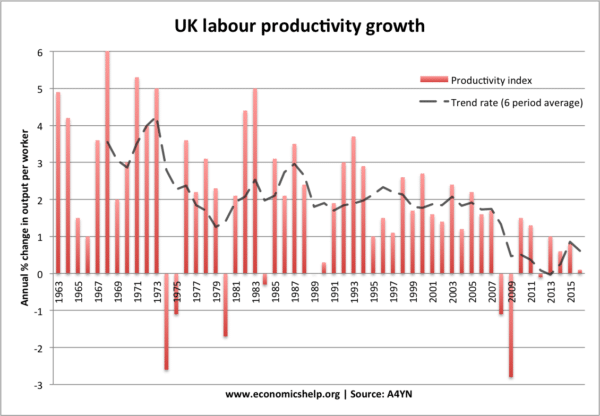 However, since 2007, productivity has fallen dramatically behind the post-war trend and is struggling to catch up. Part of the low productivity growth may be explained by growth in low-wage jobs – which on the positive side is causing a faster than expected fall in employment. 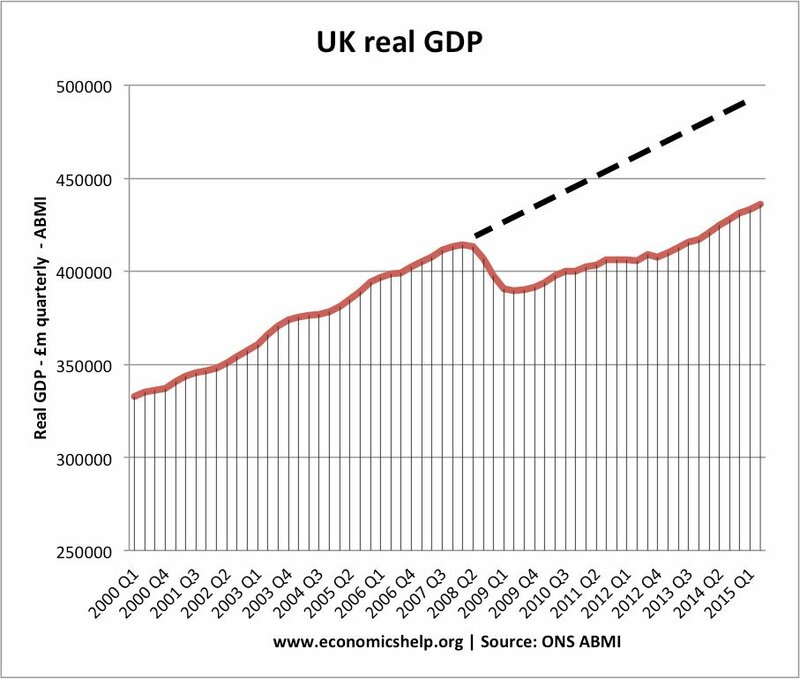 But, 10 years after the crisis, it is concerning UK productivity growth is slipping behind our major competitors. 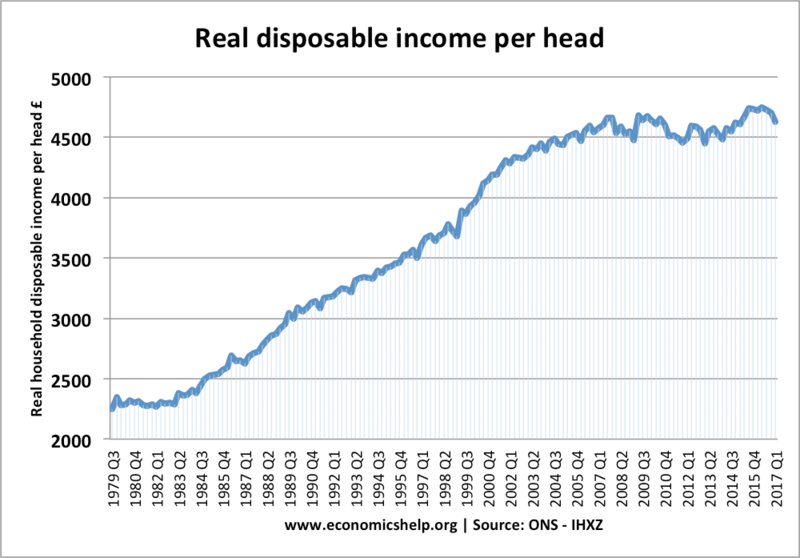 If this trend continues it will have adverse consequences for living standards and tax receipts. This, in turn, will limit government spending on public services, such as healthcare. 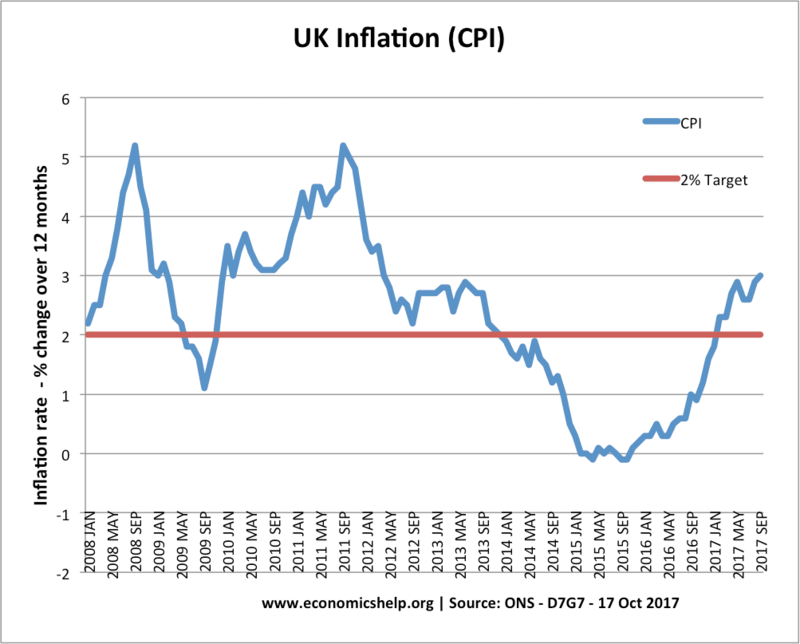 From one perspective Inflation is relatively low by historical standards (currently just above government’s inflation target of 3%) But, with weak nominal wage growth, this moderate inflation is actually causing a fall in real wages and a fall in living standards. Some of the cost-push inflation may prove temporary (due to effects of devaluation). However, the prolonged stagnation in living standards is unprecedented in post-war Britain. 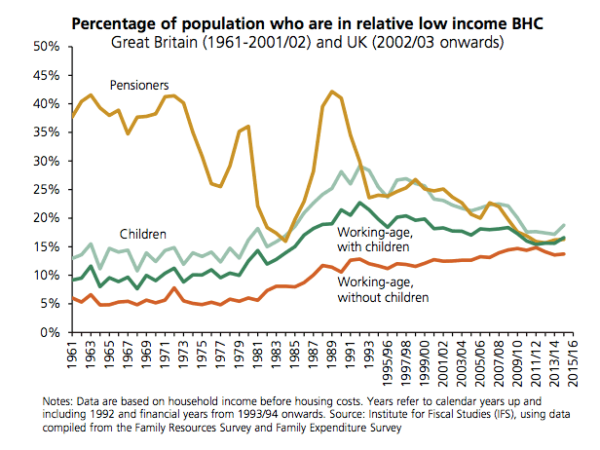 This fall in living standards is exacerbated by rising housing costs. 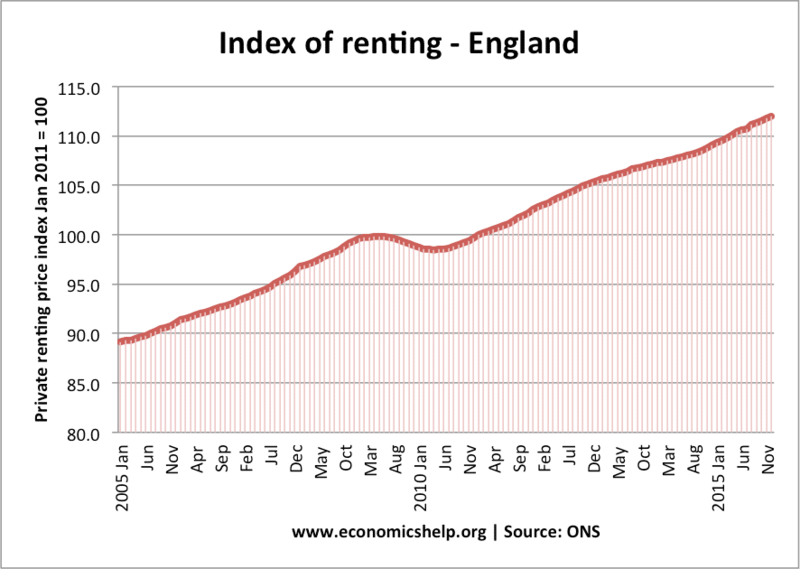 Young people experiencing a squeeze on living standards are seeing the cost of renting (or buying) rise above inflation. 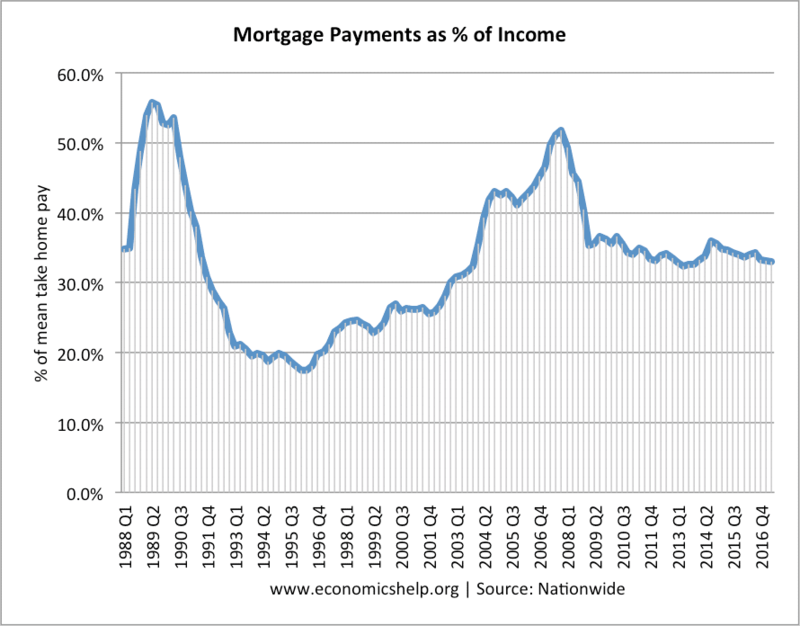 For those who do not own a house, there are greater economic costs. 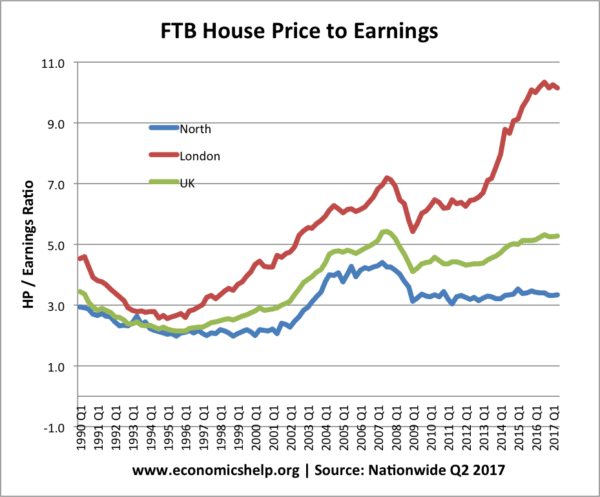 House prices have increased faster than inflation, decreasing affordability. This is particularly affecting young people who are not on the property ladder. 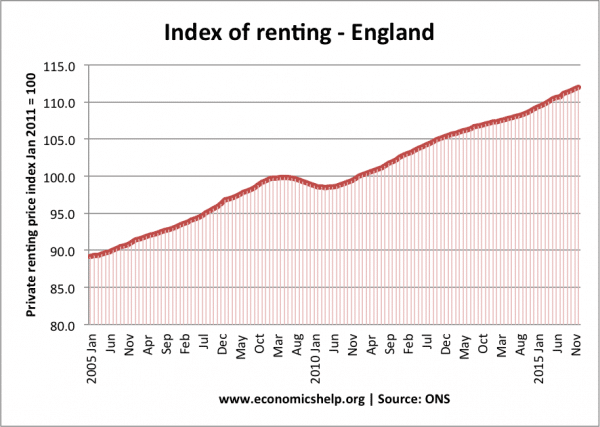 Cost of renting is increasing faster than inflation. 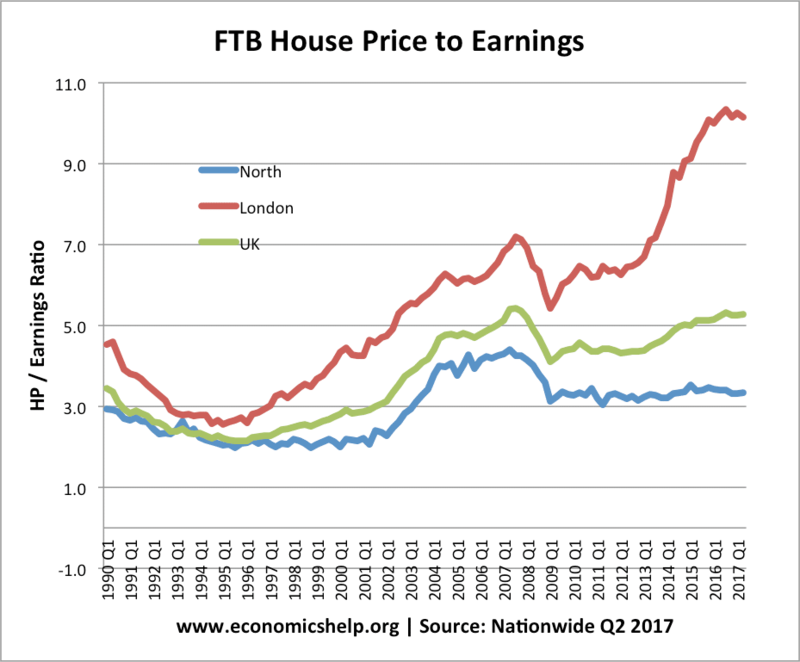 The ratio of house prices to incomes is rising to historical highs. If interest rates increase from the current lows, it could adversely affect homeowners with large mortgages. Consumers have become accustomed to historical lows – if interest rates rise it will cause a rise in loan defaults. Since the 2016 vote, consumer spending has held up. Though with rising prices from the effects of Brexit devaluation, households are increasingly squeezed and consumer confidence is dropping to levels not seen since 2009. Firms are also experiencing concerns about uncertainty over future trading relations and the impact of a ‘no deal’ solution on trade and exports. Given climate of weak consumer demand and uncertainty – firms are holding back from investment. 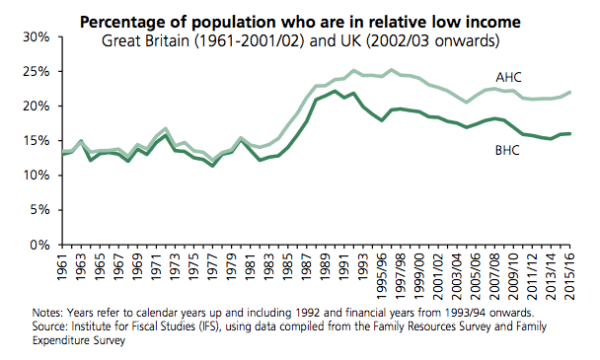 Some progress in poverty reduction was made in the 1990s and early 2000s, but there are still concerns of levels of poverty – especially after housing costs are included. the bank system need more regulation . My question is what is advantage and disadvantage of more regulation after financial crisis in 2007-2008? Usually, low growth leads to lower imports and an improvement in the current account , don’t you think this phrase is wrong .